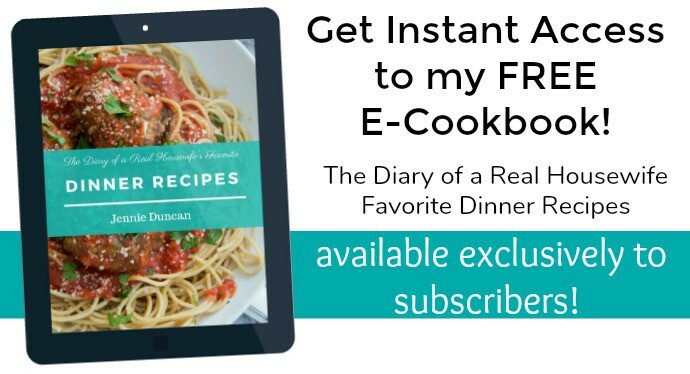 An easy side dish recipe that the entire family will love. 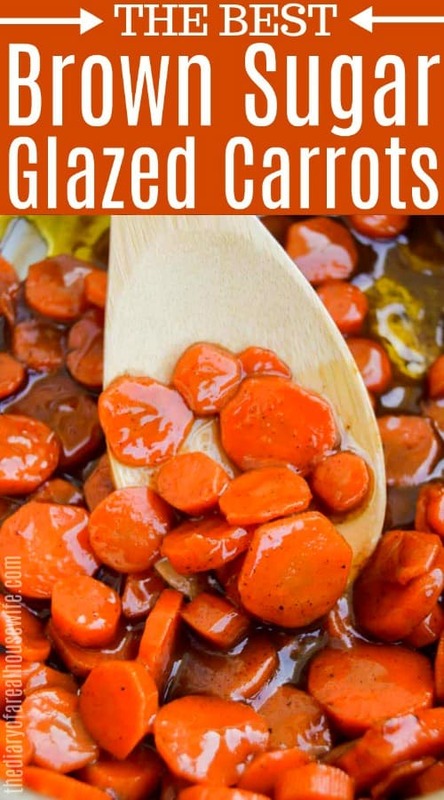 These Brown Sugar Glazed Carrots are simple to make and pair perfectly with any meal. Side dish recipes are easily forgotten about but when they are this easy to make and taste this good you just can’t skip out on it! 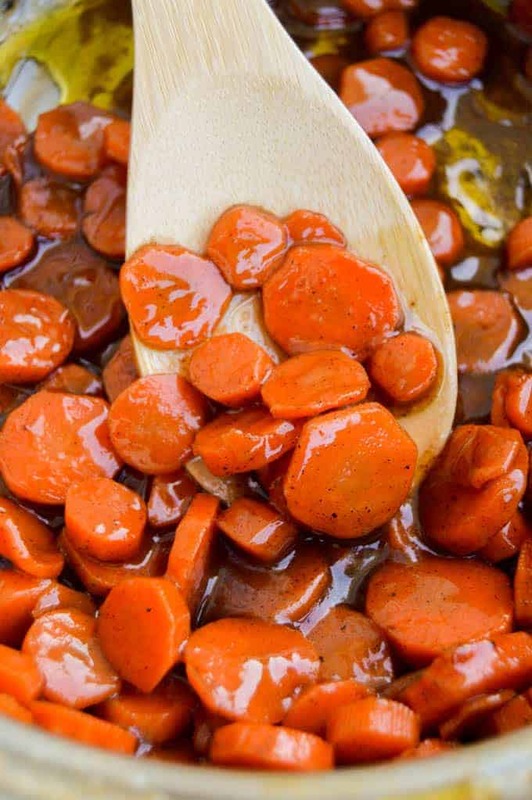 These Brown Sugar Glazed Carrots or boiled then cooked in a butter and brown sugar sauce that taste amazing. Once you sliced your carrots place them in a deep pot and cover with water. Allow boiling for 2-3 minutes or until they are bright orange and starting to soften. Drain carrots and set aside. In the same pot add butter and allow to melt. Reduce heat and add brown sugar, nutmeg, cinnamon, and cornstarch. Whisk together until melted and well combined. 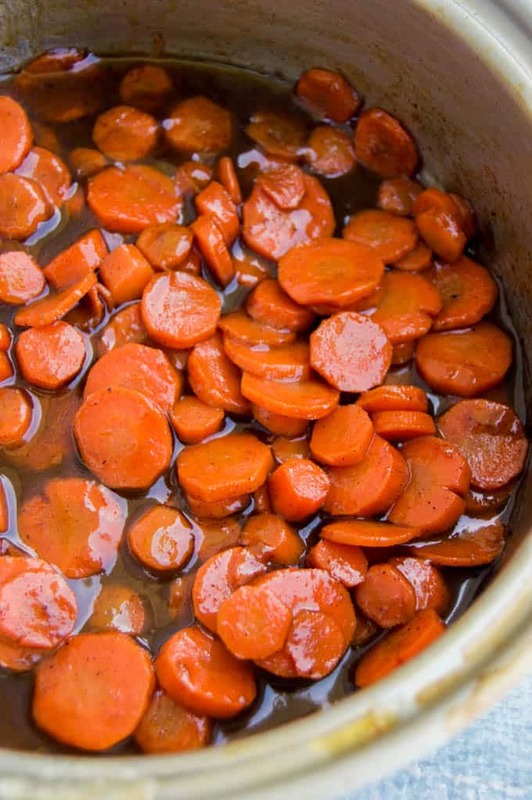 Add carrots back into a pot and cook again for another 2-3 minutes or until soft. Remove from heat and allow to sit and thicken for 1-2 minutes then serve. 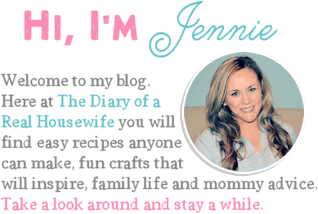 Want more side dish recipe ideas? Check these out! Roasted Ranch Green Beans: I love green beans! These are so simple to make and full of flavor. Slow Cooker Cheesy Vegetable Casserole: This recipe is a must try! 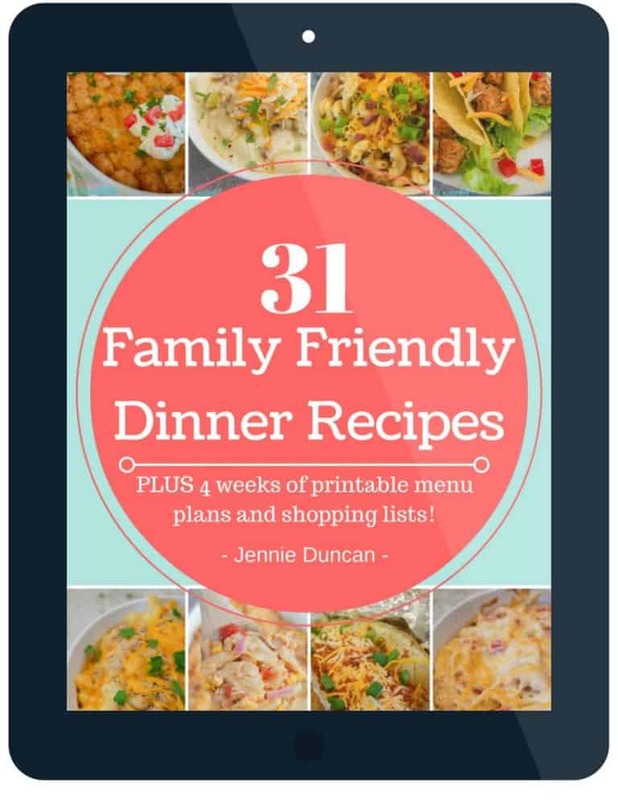 Anything that can be made in the slow cooker is a winning recipe here. Roasted Ranch Carrots: I love ranch seasoning! Anything tastes better with it. These are full of flavor than roasted in the oven until tender. Place sliced carrots in a deep pot and cover with water. Allow to boil for 2-3 minutes or until they are bright orange and starting to softened. Drain carrots and set aside. In the same pot add butter and allow to melt. Reduce heat and add brown sugar, nutmeg, cinnamon, and cornstarch. Whisk together until melted and well combined. Add carrots back into pot and cook again for another 2-3 minutes or until soft. Remove from heat and allow to sit and thicken for 1-2 minutes then serve.